The Roman Province of Asia included most of the western half of Asia Minor, with the countries or regions of Caria, Lydia, Phrygia, Mysia, and the coast-lands of the Troad, Aeolis and Ionia. It was the earliest Roman possession on the continent of Asia. Conquered by the Romans in the war against Antiochus the Great, it was given by them to their ally Eumenes, King of Pergamum, at the peace which was concluded in 189 BC; and in 133 BC it was bequeathed by his nephew and adopted son Attalus III to the great conquering people. The real existence of this will, formerly suspected to be a mere invention of the Romans, is now established by definite testimony. The King knew that the illegitimate Aristonicus would claim the Kingdom, and that there was no way of barring him out except through the strength of Rome. Thus Asia had been a Roman Province for more than two hundred years when the Seven Letters were written. Its history under Roman rule had been chequered. It was the wealthiest region of the whole Roman Empire, and was therefore peculiarly tempting to the greed of the average Roman official. Amid the misgovernment and rapacity that attended the last years of the Republic, Asia suffered terribly. The Asiatics possessed money; and the ordinary Roman, whose characteristic faults were greed and cruelty, shrank from no crime in order to enrich himself quickly during his short tenure of office in the richest region of the world. Hence the Province welcomed with the enthusiasm of people brought back from death to life the advent of the Empire, which inaugurated an era of comparative peace, order, and respect for property. In no part of the world, probably, was there such fervent and sincere loyalty to the Emperors as in Asia. Augustus had been a saviour to the Asian peoples, and they deified him as the Saviour of mankind, and worshipped him with the most whole-hearted devotion as the God incarnate in human form, the "present deity." He alone stood between them and death or a life of misery and torture. They hailed the birthday of Augustus as the beginning of a new year, and worshipped the incarnate God in public and in private. In order to understand rightly the position of Christianity in Asia and the spirit of the Seven Asian Letters, it is necessary to conceive clearly the means whereby the Imperial policy sought to unify and consolidate the Province. There can be little doubt that several of the features of Christianity were determined in Asia. 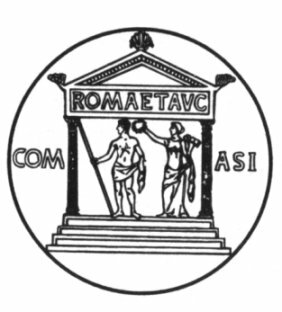 Roman Provincial unity, founded in a common religion, was the strongest idea in Asia, and it must inevitably influence, whether directly or through the recoil from and opposition to it, the growth of such an organisation as the Church in Asia, for the Christian Church from the beginning recognised the political facts of the time and accommodated itself to them. Meetings of representatives of the Asian cities were held at least as early as 95 BC, and probably date from the time of the Pergamenian kings. Doubtless the kings tried to make their kingdom a real unity, with a common feeling and patriotism, and not merely an agglomeration of parts tied together under compulsion and external authority; and, if so, they could attain this end only by instituting a common worship. In the case of the Asian Commune a Pergamenian origin seems proved by the name of the representatives in the official formula "it seemed good to the Hellenes in Asia." It appears improbable that an assembly which had been formed by the Romans for diffusing Roman ideas would have borne officially the name of "the Hellenes in Asia." But the Pergamenian kings counted themselves the champions of Hellenism against Asiatic barbarism; and their partisans in the cities were "the Hellenes." Such common cults had always the same origin, viz., in an agreement among the persons or cities concerned to unite for certain purposes, and to make certain deities witnesses and patrons of their union. Thus every treaty between two cities had its religious side, and involved the common performance of rites by representatives of both sides: these rites might be performed either to the patron gods of the two cities (which was usual), or to some god or gods chosen by common consent. The same process was applied when a larger body of cities agreed (of course first of all by negotiations and treaty) to form a union. Every such union of cities had its religious side and its religious sanction in rites performed by representatives of all the cities. These representatives, as being chosen to perform a religious duty, were priests of the common worship. It is an easy step, though not a necessary one, to institute also city temples of the same worship, so that the city may itself carry on the same ritual on its own behalf. All that is necessary for the common worship is one sacred place where the meetings can be held. In the Pergamenian time the common cult was probably the worship of the typically Pergamenian deities (whose worship also spread to some of the Asia cities, as is pointed out later). The policy of Rome allowed free play to this religion, as it always did to any social institution which was not disloyal and dangerous. But the Asian assembly soon began to imitate the example set by Smyrna in 195 BC of worshipping the power of Rome; and from 95 BC onwards there occur cases of Asian cults of beneficent Roman officers (Scaevola, Q. Cicero, etc. ), as well as of similar municipal cults. Such an Asian cult could be instituted only by an assembly of representatives of the Asian cities, and the old Pergamenian institution thus served a Roman purpose. The name Commune occurs first in a letter sent by M. Antony in 33 BC to "the Commune of the Hellenes of Asia"; the older references give various names, implying always an assembly of Asian representatives. It was Augustus who constituted the Commune finally, using its loyalty to Rome and himself for an Imperial end. In that agglomeration of various countries and nations, differing in race and in speech, the one deep-seated unifying feeling arose from the common relation in which all stood to the Emperor and to Rome. There was nothing else to hold the Province together in a unity except the enthusiastic loyalty which all felt to the Roman Imperial government. There was not then in any of the races that inhabited the Province a strong national feeling to run counter to the Roman loyalty. It does not appear that Lydian or Phrygian patriotism and national feeling had much power during the first two centuries of the Province. Circumstances had long been such that national patriotic feeling could hardly be called into existence. There was plenty of strong feeling and true loyalty among the inhabitants of each city towards their own city. But Greek life and the Greek spirit, while favourable to the growth of that municipal feeling, did not encourage a wider loyalty. It remained for the Roman organisation and unifying power to widen the range of loyalty; and the first important stage in this process came through that intense personal devotion to Augustus as the Saviour of the civilised world and bearer of the Majesty of Rome. In the condition of human thought and religious conceptions that then prevailed, such an intense feeling must take a religious form. Whatever deeply affected the minds of a body of men, few or many, inevitably assumed a religious character. No union or association of any kind was then possible except in a common religion, whose ritual expressed the common feelings and purpose. Thus the growth of an Asian Provincial religion of Rome and the Emperor was natural. The Imperial policy took advantage of this natural growth, guided it, and regulated it, but did not call it into existence. Augustus at first rather discouraged it--doubtless because he dreaded lest its anti-republican character might offend Roman sentiment. But it was too strong for him; and after a time he perceived the advantages that it offered, and proceeded to utilise it as a political device, binding together the whole Province in a common religious ceremonial, and a common strong feeling. The one and only Asian unity was the Imperial cult. It was directed and elaborated by the Commune or Common Council of Asia, a body which seems to have had more of the "representative" character than any other institution of ancient times, and thus was the prototype of a Parliament. Asia was divided into districts, apparently, and a certain number of cities had the title of metropolis; but the details regarding the representation of the districts or the metropoles in the Commune are unknown. The relation of the Christian organisation in Asia to the Commune, or rather to the tendency towards consolidation which took an Imperial form in the Commune, is brought out in striking relief by several facts. The Commune was the common assembly of the Hellenes of Asia. The tendency towards consolidation was a fact of Hellenism, not of the native Anatolian spirit. Now it has been elsewhere shown that Christianity was at first far more strenuously opposed to the native spirit than to the Hellenic. The one reference to the Commune in the New Testament outside of the Apocalypse is in Acts 19:31, where certain members of that body, "chief officers of Asia," are mentioned as friends of St. Paul, and took his side against the mob of worshippers of Ephesian Artemis, a typically Anatolian goddess. Again Christianity in Asia expressed itself in Greek, not in any of the native languages. Although the majority, probably, of the people of Phrygia spoke the Phrygian language and a large number of them were entirely ignorant of Greek in the first century, yet there is no evidence and no probability that Christianity ever addressed itself to them in Phrygian. St. Paul avoided Phrygia, with the exception of the two cities in the Phrygian Region of the Roman Province Galatia, viz., Antioch and Iconium (Acts 16:6). The Church in Asia was Greek-speaking, and had become, by the fourth century, the most powerful agent in making a knowledge of Greek almost universal, even in the rural parts of the Province. The Greek character of the entire Church in its earlier stages--for even the Church in Rome was mainly Greek in language until the middle of the second century--was chiefly determined by the character of the Province Asia. The relation of the Province to the Greek language therefore needs and deserves attention. The Province of Asia included the most civilised and educated regions of the Asiatic continent, ancient and famous Greek cities like Cyme, Colophon and Miletus, the realms of former lines of monarchs like the Lydian kings at Sardis, the Attalid kings at Pergamum, and the Carian kings at Halicarnassus. It was the most thoroughly Hellenised part of all Anatolia or Asia Minor. The native languages had died out in its western parts, and been replaced by Greek; Lydian had ceased to be spoken or known in Lydia, when Strabo wrote about AD 20; Carian was then probably unknown in the western parts of Caria, though the central and eastern districts were not so far advanced. Mysia, the northwestern region of the Province, was probably in a similar condition to Caria, the west and the coasts entirely Greek-speaking, the inner parts less advanced. Most thoroughly Anatolian in character, and least affected by Greek civilisation, was Phrygia. West Phrygia and especially the parts adjoining Lydia were most affected by Hellenism; whereas in the centre and east the Greek language seems to have been hardly known outside the great cities until the late second or the third century after Christ. Even in the western parts, it is proved that in the rustic and rough region of Motella, not far from the Lydian frontier, Greek was strange to many of the country people at least as late as the second century. In the extreme southwest of Phrygia, in the district of Cibyra, Strabo mentions that four languages were spoken in the first century, viz., Greek, Pisidian, Solymian and Lydian. The last had died out in Lydia, but survived in the speech of a body of Lydian colonists in Cibyra, just as Gaelic is more widely preserved and more exclusively spoken in parts of Canada today than it is in the Highlands of Scotland. But the great cities of the Province Asia (as distinguished from the rural parts), except a few of the most backward Phrygian towns, were pretty thoroughly Greek in the first century after Christ; and everywhere throughout the Province all education was Greek, and there was probably no writing except in Greek. It seems to have been only in the second century that the native Anatolian feeling revived, and writing began to be practised in the native tongues; at least all inscriptions in the Phrygian language (except those of the ancient kingdom, before the Persian conquest) seem to be later than about AD 150. Religion, too, was in outward appearance Hellenised in the cities; and the Anatolian deities were there commonly called by Greek names. But this was only a superficial appearance; the ritual and the character of the religion continued Anatolian even in the cities, while in the rural districts there was not even an outward show of Hellenisation. Thus, in the Province Asia, there was a great mixture of language, manners and religion. Apart form the Roman unity, the various nations were as far from being really uniform in character and customs and thought, as they were from being one in blood. The Imperial Government did not attempt to compel the various peoples to use Latin or any common language: it did not try to force Roman law or habits and ways on the Province, still less to uproot the Greek civilisation. It was content to leave the half-Greek or Graeco-Asiatic law and civilisation of Asia undisturbed. But it discouraged the national distinctions and languages; it recognised Greek, but not Phrygian or Pisidian or Carian; it tried to make a unified Graeco-Roman Asia Provincia out of that agglomeration of countries. The attempt failed ultimately; but it was made; it was the ruling feature of administration in the first century; and the whole trend of Roman feeling and loyalty in all the provinces of Asia Minor during the first century was in favour of the Provincial idea and against the old national divisions. The term which Strabo uses to represent in Greek the Latin Asia Provincia expressed the true Roman point of view. He speaks of the Province as "the nation of Asia": i.e., the Roman Province took the place of any national divisions: loyalty considered that there was only one nation in Asia, that the Province was the nation. As time went on and the past pre-Imperial miseries were forgotten, the fervour of loyalty, which had for a time given some real strength to the Imperial religion, began to cool down; and there was no longer strength in it to hold the Province together, while there was a growth in the strength of national feeling. Polemon the Sophist of the time of Hadrian and Pius was called "the Phrygian," because he was born of a Laodicean family; and when Ionians were using such a nickname, Phrygians naturally began to retort by assuming it as a mark of pride. It was Hadrian probably who saw that the Roman ideal was not strong enough in itself without support from local and old national feeling; and from his time onwards the Imperial policy ceased to be so hostile to the old national distinctions. He did not try to break up the vast Roman Provinces; but there are traces of an attempt to recognise national divisions: e.g., the new Province of the Tres Eparchiae was left in fact and name a loose aggregate of three countries, Cilicia, Isauria, Lycaonia, which kept their national names and had probably three distinct Communes or Councils. The union of Asia was already old; but he tried to strengthen it in a way characteristic of ancient feeling, viz., by giving it a support in Anatolian religion as well as in the Imperial religion. During the first century the State religion was simply the worship of the Emperor or of Rome and the Emperor. But that was only a sham religion, a matter of outward show and magnificent ceremonial. It was almost devoid of power over the heart and will of man, when the first strong sense of relief from misery had grown weak, because it was utterly unable to satisfy the religious needs and cravings of human nature. From a very early time there seems to have existed in the Eastern Provinces a tendency to give more reality to this Imperial religion by identifying the Divine Emperor with the local god, whatever form the latter had: thus the religious feelings and habits of the people in each district were associated to some extent with the Imperial divinity and the State religion. Perhaps it was Domitian who first saw clearly that the Imperial religion required to be reinforced by enlisting in its service the deep-seated reverence of men for their local god. In the second century the custom of associating the Emperor with the local deity in a common religious ritual seems to have spread much more widely, and the old tendency to make certain local gods into gods of the Province became more marked. Under Hadrian a silver coinage for the whole of Asia was struck with the types, not merely of the Pergamenian temple of Augustus, but also of the Ephesian Diana, the two Smyrnaean goddesses Nemesis, the Sardian Persephone, etc., thus giving those deities a sort of Provincial standing. This class of coins was struck under the authority of the Commune. But it was in the Flavian persecution that this approximation between the native religions and the Imperial worship began first to be important. This approximation put an end to the hope, which St. Paul had cherished, that the conquest of the Empire by the new faith might be accomplished peacefully. It now became apparent that war was inevitable, and its first stage was the Flavian persecution. In Asia the Ephesian religion of Artemis was the only native cultus which had by its own natural strength spread widely through the Province. Before the Roman period the royal character of Pergamum had given strength to its deities, especially Asklepios the Saviour and Dionysos the Guide (Kathegemon). The latter was the royal god, and the royal family was regarded as sprung from him, and the reigning king was his representative and incarnation. Asklepios, on the other hand, was the god of the city Pergamum. Hence in several cities even in distant Phrygia the worship of those two deities was introduced; and after the Roman period had begun, the respect felt for the capital of Asia was expressed by paying honour to its god. This is very characteristic of ancient feeling. The patron god is the representative of his city, just as the angel in the Seven Letters stands for his Church. Municipal patriotism was expressed by worshipping the god of the city; and other parts of Asia recognised the superior rank of Pergamum by worshipping Asklepios the Saviour. In Roman time, also, the natural advantages of Ephesus had full play. Ephesus was brought into trading relations with many cities; many strangers experienced the protection and prayed for the favour of the Ephesian goddess. Thus, for example, she is recognised alongside of the native god Zeus and the Pergamenian Asklepios in the last will and testament of a citizen of Akmonia, dated AD 94. 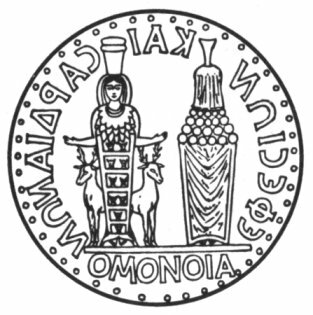 Many cities of Asia made agreements with each other for mutual recognition of their cults and festivals and common rights of all citizens of both cities at the festivals; and such agreements were usually commemorated by striking what are called "alliance-coins," on which the patron deities of the two cities are represented side by side. The custom shows a certain tendency in Asia towards an amalgamation and fusing of local religions; and Ephesus concluded more "alliances" of this kind than any other city of Asia. Hence in AD 56 the uneducated devotees of Artemis of Ephesus spoke of their goddess, "whom all Asia and the civilised world worshippeth." The machinery of Roman government in the Province--the Proconsul (who resided mostly in the official capital, though he landed and embarked at Ephesus and often made a progress through the important cities of the Province) and other officers--does not directly affect the Seven Letters, and need not detain us. More important is the Provincial religious organisation, directed by the Commune. The one original temple of the Asian cultus at Pergamum was soon found insufficient to satisfy the demonstrative loyalty of the Asians. Moreover, the jealous rivalry of other great cities made them seek for similar distinctions. Asian temples were built in Smyrna (Tiberius), Ephesus, Sardis, etc. Each temple was a meeting-place of the Commune; and where the Commune met, games "common to Asia" were celebrated (such as those at which Polycarp suffered in Smyrna). The Commune was essentially a body charged with religious duties, but religion was closely interwoven with civil affairs, and the Commune had other work: it had control of certain revenues, and must therefore have had an annual budget, it struck coins, etc. The most interesting side of Imperial history is the growth of ideas, which have been more fully developed later. Universal citizenship, universal religion, a universal Church, were ideas which the Empire was slowly, sometimes quite unconsciously, working out or preparing for. The Commune contained the germ on one side of a Parliament of representatives, on another side of a religious hierarchy.